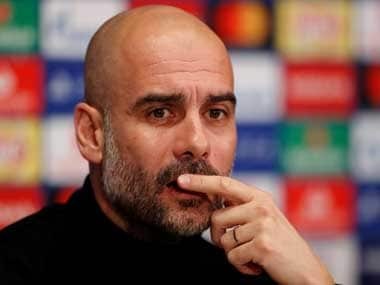 Manchester: Manchester City boss Pep Guardiola again backed the use of Video Assistant Referee (VAR) technology, but called for decisions using the system to be speeded up after his side's 7-0 thrashing of Schalke to progress to the Champions League quarter-finals on Tuesday. 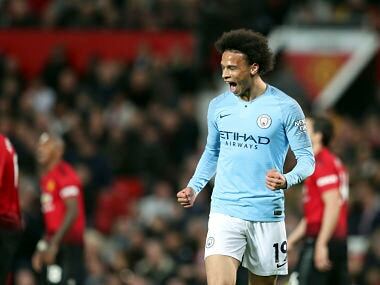 Three of City's goals scored by Sergio Aguero, Leroy Sane and Raheem Sterling had to be checked by VAR for tight offside calls, while Sane also had another goal ruled out. But there was frustration among supporters at the Etihad over long delays before the referee was given the all clear by his video assistants to either award the goal or rule it out. VAR also played a big role in the first leg of the last 16 tie as Schalke were awarded two penalties before losing 3-2 on the night in Gelsenkirchen and 10-2 on aggregate. 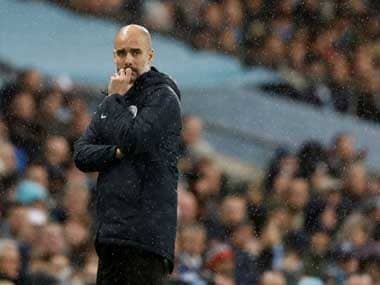 "They need to be a little bit quicker to make decisions but it is fair," said Guardiola, who wanted the Premier League to introduce the system this season. "The two penalties went against us from VAR in Germany but at the end it is fair. "At the end that is what we are looking for. Hopefully in the Premier League next season that is what can happen. I am happy with VAR. Hopefully it can be quicker than today. City remain on course for a historic quadruple of trophies. 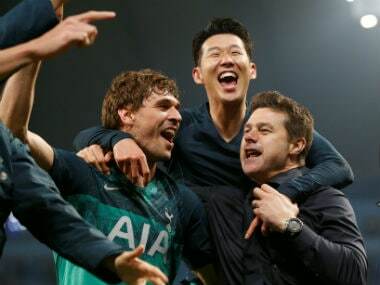 Having won the League Cup last month, Guardiola's men lead the Premier League and are now in the last eight of both the Champions League and FA Cup. Despite missing Kevin De Bruyne, Fernandinho and Benjamin Mendy through injury and the suspended Nicolas Otamendi, City cruised past the Bundesliga strugglers. Sergio Aguero hit a double to get the English champions going before Sane, Sterling and Bernardo Silva got on the scoresheet. Phil Foden and Gabriel Jesus then came off the bench to score in the second half. And Guardiola is hoping to be even more spoiled for choice come the quarter-finals next month. "We have a lot of injured players so we want to continue this run and get those players back fit," he added. "Everyone has to compete with each other to play. They all want to play. Everybody tried to play, be bold and keep going."